On 27th January 2015 Miel performed a selection of songs from her upcoming double album 'Magnetic', released on 9th March 2015, with her talented band, the Lyric String Quartet and two esteemed dancers choreographed by the one and only Martin Joyce (previously of ballet Rambert). 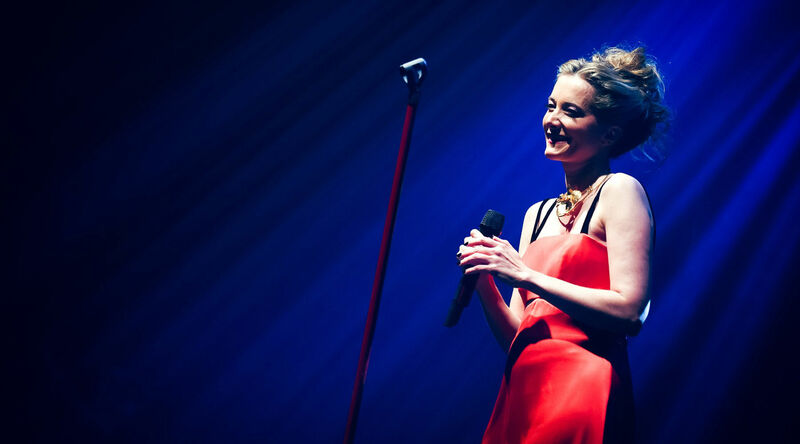 Situated in the Queen Elizabeth Hall building, the Purcell Room is the most intimate concert hall venue on site, making it particularly suitable for Miel’s musical autobiography evening, which had an audience of over 270. The evening felt like a night for celebration, as Miel’s brother Alain de Botton opened the performance speaking and reminding the audience of Miel’s creative journey so far. Alain spoke of Miel’s deep connection with music, inspired by listening to her father singing French chansons to her from an early age. 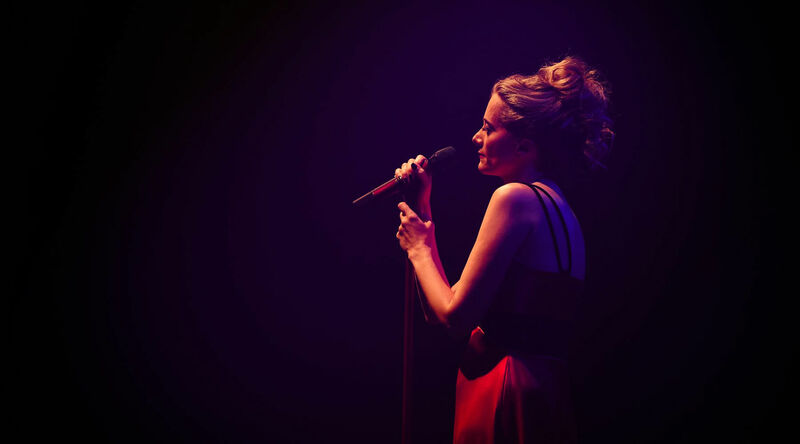 The show kicked off with a spectacular video giving the audience a behind the scenes look at the journey that Miel has taken, from writing her own songs, to recording them with Andy Wright, performing them live on stage and finally releasing her debut album, 'Magnetic' on March 9th, 2015. Miel then took her audience on a musical journey, singing her interpretations of the French chansons of her early childhood to the deeply personal self-penned songs inspired by her life’s experiences. Like life, as Miel reminded us, the show was brimming with moments of pure joy and spontaneous dancing perfectly balanced with some of Miel’s more intimate songs. Miel and the band were accompanied by the Lyric String Quartet, a group of top string session musicians based in London who have played on Oscar-winning soundtracks such as Gravity, Skyfall and Lord of the Rings. They have also played with Grammy award winning artists such as Stevie Wonder, Peter Gabriel, Sade, Mark Ronson and Amy Winehouse. 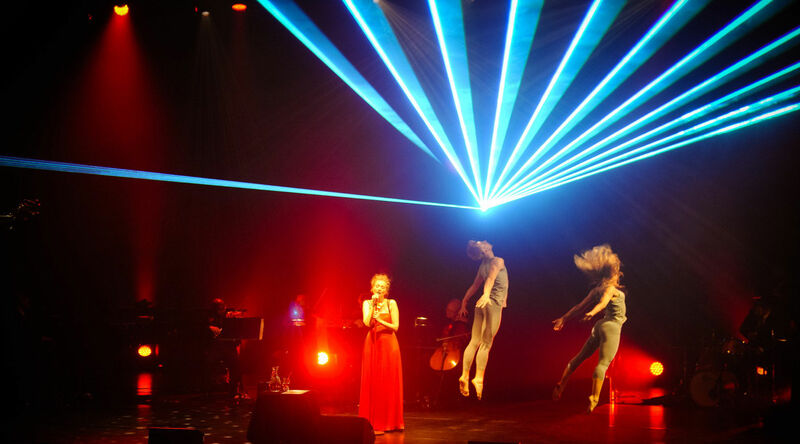 Dancers Lisa Welham and Oliver Chapman also joined Miel and her band on stage for two very special performances of ‘Embrasse Moi' and 'Forest Prayer', and then for the laser covered finale ‘Magnetic’, the title track from Miel’s debut album. The dances were beautifully choreographed by Martin Joyce. Magnetic is available for pre-order now, and will be released on iTunes and Amazon on March 9th, 2015.